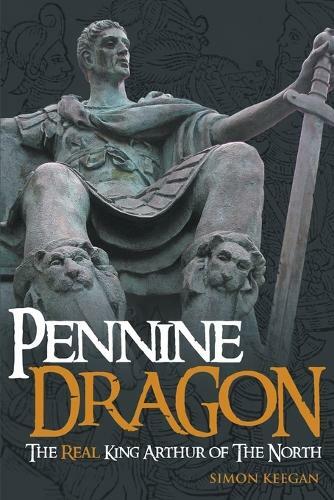 Pennine Dragon tells the true story of the legendary King Arthur. On the 1500th anniversary of Arthur's greatest battle at Badon, his whole life, family history and exploits are finally identified with those of a real historic ruler. Arthur Pendragon was actually a ruler recorded in history as Arthwys of the Pennines. He and his father ruled from the old Roman garrisons of Hadrian's Wall and the City of York and his base was Camulod (Camelot) in the heart of what is now Yorkshire. Arthwys had his Merlin, his Mordred, his Lancelot and his beautiful Irish Queen. His battles were fought across what is now the north of England and lowlands of Scotland. Without the prejudice of placing Arthur in Wales or Cornwall, Pennine Dragon reveals that Arthur was always identified as a man of the north in the earliest historical references. Legendary Arthurian places like Badon, Camlann, Camelot, the Lady of the Lake, Asolat, Joyous Garde, Avalon and the Round Table are all identified in the north. The author, Simon Keegan has identified no fewer than 50 Arthurian characters in real historical figures.We meet Morgan, Gawain, Bedevere, Culhwch, Uther and Igraine - and each character fits in perfectly within the family tree and inner circle of the historic king. We find that Arthwys was at precisely the right time and place and is the only possible man who could have been the King Arthur of legend. This is the definitive work on the true King Arthur published exactly 1500 years after the historic king's final victory over the Saxons. Pennine dragon is the first King Arthur book i've read that has convinced me that a historic king could have been the real Arthur.